I had this idea for a long time. I generally prefer warm colors, but in this case I wanted to create a magical and at the same time, cold atmosphere. It seems that the model in the picture has outstanding power. It looks like a good fairy who flirts with nature, whose symbol is a butterfly and a forest in the background. The butterfly symbolizes the continuous movement and the pursuit of excellence. 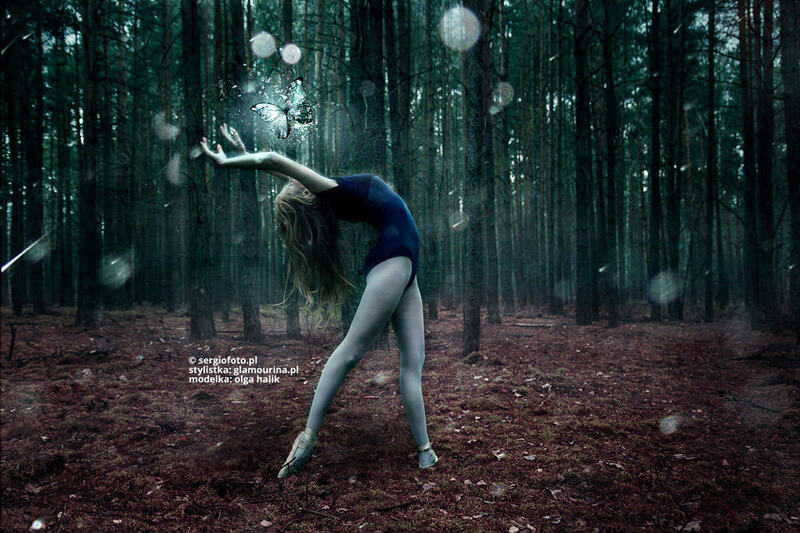 Photographing Olga dancing in the woods is a pleasure. The idea was represented the way I wanted, and maybe even better.